Grilled big, juicy shrimps in a spicy paste. Serve as a starter or as an appetizer. 1. Dry roast the cashew nuts until golden brown and grind coarsely. 2. To this, add all the other ingredients for masala paste and grind until smooth. 3. Mix the shrimps with lime juice in a bowl and toss well. 6. Fry the spice paste for 2 to 3 minutes. 7. Add the coconut milk and bring to a boil. 8. Simmer for a minute and transfer to a bowl. 9. 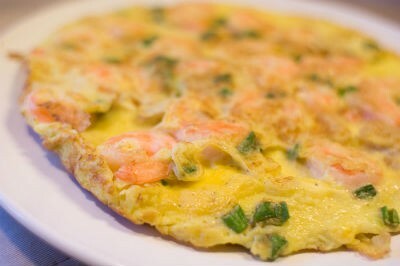 Add the shrimps and toss well until coated evenly. 10. Keep aside for 30 minutes. 11. Skewer them onto the wooden sticks and grill for a minute or two on each side, until lightly browned. 12. Serve hot with mint sauce. 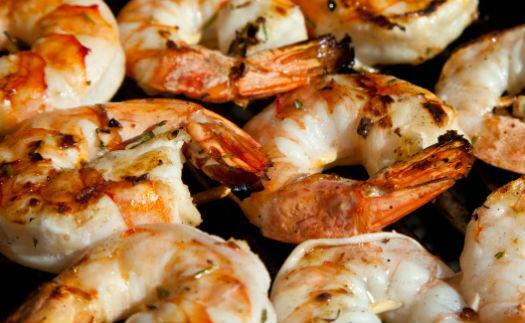 Feel free to comment or share your thoughts on this Barbecued Shrimp Recipe from Awesome Cuisine.